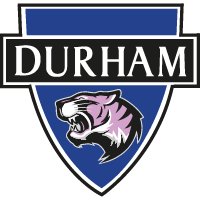 COTTAM: "It's a Big Statement"
Hat-trick hero Abi Cottam believes that Durham's win over Lewes should send a statement to the rest of the FA Women's Championship. 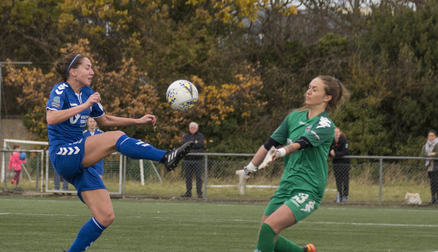 The striker netted a treble in the 5-0 triumph over Lewes and, while delighted with her own contribution, was keen to praise the efforts of those around her. "It was a bit of a relief, I think. "We've been waiting for a game like this to happen, where we put away our chances when they come and it felt like we did that. "The majority of the chances we had, we buried today. "It was a brilliant game and I think we controlled it really well. "It was a great team performance, all-round everyone was fantastic and we saw stuff that we had been working on. "Bits and pieces of that had been coming through every game, but today everything just seemed to fall into place." "That's the kind of thing that you work on every day in training and and when it comes off in a game, it's fantastic. "We just passed it around the park and there was nothing special that anybody did, it was just simple football. "It's something we want to incorporate into our game every week and we're getting there, so it's a good example of that." "The goals that I scored were a little bit of right place, right time. "But if you're not there then you don't score them, so it's really a good team effort and I'm happy to have scored them." "I think it's a big statement for us. "The amount of goals that we scored will put across a message and that's something we've been meaning to do. "We're very good defensively and going forward, we know we're a strong team going forward. "It's a big statement and we're looking forward to meeting the other teams." "That's something we want to do, gather some momentum ahead of those games. "They're going to be big tests. "We've got Tottenham and Manchester twice in a week so it's going to be difficult, but we'll keep plugging along and getting results."